Finally a change which will stop a bit of time wasting at subsitutions!! Changes approved by IFAB - substitutes will have to leave the pitch at the nearest goal line or touchline instead of walking to their technical area in a bid to stop time-wasting. Nothing worse than the customary slow run off the pitch when the away side is 1-0 up!! a goal scored directly from the hand/arm (even if accidental) and a player scoring or creating a goal-scoring opportunity after having gained possession/control of the ball from their hand/arm (even if accidental) will no longer be allowed. Presumably the handball will only apply to the attacking team otherwise I can see defenders lining up to claim a goalbound shot hit their hand and thus should be disallowed! Wish they would scrap the ball has to leave the 18 yard box before player can touch it at goalkicks, slows the game down and i cant see why it exsists .. Probably right overall. Still will be some debate. Take the Wolves goal v us. It has certainly brushed the hand of the player who set the goal up, under the current rules very obviously a fair goal. Did he gain possession or control it with the hand? Would still be down to interpretation. Under this new rule, the Lino if he has seen it would have to let play go on as it is not deliberate, and then flag if a chance is set up? Yes, that pivotal rule, which causes endless controversy and costs people their jobs, needs to be stamped out. Immediately..! I also think that, in wider society, they should introduce the death penalty for people who exceed 5 minutes over their allotted time on a parking metre. Think any decision (in the main) that allows it to be black n white is a good thing. The thing that you can't snuff out is the fake injury when a team is leading and wants to disrupt the momentum of the opposition. It's so annoying and really effective. Exactly what Bimringham did on Tuesday. Coincidence that they got 2 injuries within 3 minutes of our goal...? I think not. Totally killed our momentum. Excellent 'Game Management' but irritating and borderline poor gamesmanship. The only slight downside to the subs rule is it will prevent the fans acknowledging a player who`s being subbed if he`s had a stormer or is a youngster who`s had a good game. A small point in the great scheme of things though. Someone said in the matchday thread yesterday that they noticed that Preston seemed to get far less injuries after we equalised than they did when they were one up. The current interpretation of the handball is farcical - all this talk of arms in unnatural positions. Who on earth would wave their hand about deliberately in the area now and risk conceding a pen? We can't pretend like we are innocent of this, we do use it as well. It is annoying, the way I think it could be dealt with it is to play on and allow physios onto the pitch while the game is in play, the player becomes inactive while being seen by the physio and has to go off, if the ball accidently hits the player or physio then play is stopped for a drop ball. I think we would actually find there are about 1/2 as many "injuries" so less requirement for physios to come on. Mentioning parking to bengalclub is a cheap shot. We do this too but if the rules were all injuries are treated off field then you wouldnt see these things occur. Unfortunately teams use the rules to break up play. If players knew theyd have to walk off you wouldnt see them go down anymore. Obviously the serious looking injuries can stay on pitch but how many ‘injuries’ do you see the player miraculously recover and walk off the pitch?! You cant tell me the magic sponge is that magic! dont even get me started with the goal kick taking from either side of the6 yard box!! Lee Camp carried out time wasting expertly on tuesday by taking every kick from the opposite side to where the ball left the field. And to think that rule was designed to SPEED UP play!! where blokes in suits make the rules, teams using rules to break up play and time waste will continue. We don't use it especially well, as in when the opponents have got some momentum going. Norwich was a case in point: early second half when we had a head of steam their no 6 went down for a lengthy break and we lost momentum completely. They had a similar period of sustained pressure leading up to their goals and we didn't once go down. The problem with playing on is that players go down clutching their head, and that really leaves the ref in an invidious position. When they eventually get up and off the pitch, make them wait as long to get back on as they were receiving treatment on the pitch. That at least might make them hurry up, or get off the pitch where they genuinely can. Having said that, I'm not a great fan of the rule about leaving the pitch anyway. When the injury is a genuine one, it often disadvantages the team who've been fouled. And when it's a fake one, the long, slow, trudge to get off the pitch only adds to the time wasted. I'm afraid that whatever you do it all comes down to intent again, and that's so difficult for referees. If players (and managers, thinking of Colin and Rotherham in particular) were more honest that would solve it, and refs wouldn't be put in that impossible position. But apart from allowing refs to apply rules differently depending on how they perceive intent, anything you do to try to penalise feigned injuries will have the effect of disadvantaging teams when they have a genuine injury. Wish﻿ they would scrap the ball has to leave the 18 yard box before player can touch it at goalkicks, slows the game down and i cant see why it exsists ..
Looks like your prayers have been answered bengalcub! "Following experiments in different parts of the world, the AGM also approved changes to the Laws of the Game related to a player being substituted having to leave the field of play at the nearest boundary line, yellow and red cards for misconduct by team officials and the ball not having to leave the penalty area at goal kicks and defending team free-kicks in the penalty area," IFAB said. I take it thats ypur attempt at humour ? I think it was, ypes. The ref can still stop play if they want but the ref can also play on and the players can receive treatment. I wonder how long it would be before we had a `bloodgate` in football? I think the biggest single thing that can be done to avoid timewasting, is to take the responsibility of time keeping away from the referee and have someone else start & stop the watch to allow adequate extra time for stoppages. It wouldn’t stop teams disrupting momentum, but it would negate the purpose of blatant time wasting. They can, in theory, but no ref is going to risk the consequences of it turning out to have been something serious. Getting the intent call on a handball wrong is one thing, the worst that happens is a team loses a game. Getting it wrong with a head injury is a life or death thing. I don't blame any ref in that situation, I blame the player/manager. The key is getting treatment to the player ASAP I think, my thinking is that you should be able to get treatment started earlier if you haven't got to wait for a ref to stop play - even if that is only a couple of seconds. The ref still has the ability to stop play but the decision should be about how it will affect the game and not necessarily to do with getting emergency treatment to a player in need because that player will already be getting the treatment. I can see that working depending where it is. But I'm thinking of the Norwich game, where their no 6 went down just about on the penalty spot, and with us attacking (that was the point!). I don't see how you could have someone on giving treatment there. And, of course, if the objective is to stop the game, you can be quite sure that's where the player would go down! I see your point, yes in that scenario then play would almost certainly have to be stopped but its for the ref to decide based on the game scenario rather than the type of injury. The situation I see most often is when play stops and a player just sits down - in this scenario a ref could just wave the physio on and start play again. This does penalise a team with genuine injury but I think the piss taking has been going on long enough. The goal kick rule could be interesting. If a team wants to game manage the ball won't leave the area till the opponents press. It also will increase the need further for some teams to have footballing Keepers ..
Would rather see sin bins (like rugby) and a minimum 5 minute "safety break" for all players who go down injured. Would clear up pretend injuries quite quickly. I have this image of Neil Warnock. Right one of you roll it to the edge of the box. No you run up behind it and lamp it. Like the change to the sub rule. Not sure why they ever got rid of the 10 yard rule if you block a free kick. You dont move away in time. Ref picks it up and moves it 10 yards forward. Was a great rule, bring it back . Sin bins are being trialled next season in selected leagues, including some non league local ones. Bringing this thread up again because I've been sent the above link with some more Law changes for next year not covered by the media. There's one in there in particular which I find interesting and we are likely to see played out a few times next season. Occasionally, an attack is stopped by a cautionable (YC) or sending-off (RC) offence and the attacking team takes a quick free kick which restores the ‘lost’ attack; it is clearly ‘unfair’ if this ‘new’ attack is stopped to issue the YC/RC. However, if the referee has distracted the offending team by starting the YC/RC procedure, the quick free kick is not allowed. For a DOGSO offence, the player will be cautioned (YC) and not sent-off (RC) because the attack was re-started (as when advantage is applied for a DOGSO offence). 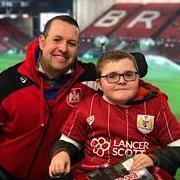 I went to a training session recently ran by the Somerset FA for Mangers and coaches regarding rules changes and the pilot for sin bins (non league). The consensus post session was this is the big one. It will create significant opportunities to play out and favour those teams with that ability. It has created an oddity in the game - Instant space. A free kick provides ten metres of space, a goal kick will provide more.. This will probably cause a 'whoosh' moment for most people, however it's genius! It will be interesting to see if the ref stalls on issuing a red card to a player as the opponents take a quick free-kick, the attack breaks down and a counterattack is launched from which the player who would've been red carded 30 seconds earlier scores. Then, as the player celebrates the goal he is given a red card as it is the first break in play since the opportunity to send him off was stalled. Would be an odd one for both supporters and players, a celebratory moment and a major downer in the same instance. Possibly, both sets of fans would celebrate at the same time. I can see this happening. It isn't too far fetched. Completely agree. I think far too many handball decisions are given nowadays. The handball rule exists to stop players deliberately controlling the ball with their hand/arm, which is cheating and is quite rare. ANY attempt to remove the intent element is ridiculous. Of course it makes for a simpler decision if you give handball whenever a ball hits a player’s arm; but it’s also totally against the spirit of the law and why it exists. It appears that if a goal is now scored when the ball hits an attacker on the elbow from behind, even if he didn’t see it happen, the goal could now be disallowed. I was watching A League ( football in Australia not Aussie Rules) recently. They have VAR this season. Yesterday a penalty was given as a player had been running into the box and accidentally tripped by an opposing player. He was running in as I said and his foot flicked back and caught the knee of the defending ( home) player behind him. Total accident. The player went down, the opposing player held his hands up in surprise. The Ref gave the penalty. The home crowd went mad, no way was it a pen. VAR looked and said it had to be given, apparently only handball has to be reviewed to see if it was intentional or not. Very controversial this was. The pen was taken and scored. Another rule they have got though is good. When a player gets injured and receives treatment he doesn’t have to leave the field and be waved on again if the opposing player has been booked for the foul. I think this is a great rule. How many times are teams forced to wait while corners etc are taken with a man down whist the offending player plays on. I would like to bring in a rule for timewasting when a side in front or happy even drawing are constantly timewasting, that if that team then goes behind they shouldn't get a single minute of the time that they have wasted added on at the end so they can then chase the game. It was indeed introduced over here at the start of the season. And it hasn't been used once at the Gate. I was really pleased to see it introduced and have been specifically looking out for it. Happened quite a lot at the start of the season in particular and each time the player receiving treatment was ordered off the pitch. Bloody infuriating. I get why the original rule was introduced, but it had an obvious flaw that I'd hoped been ironed out. Apparently not. I didn’t know it was introduced over here. Strange it’s gone so unused and unnoticed .